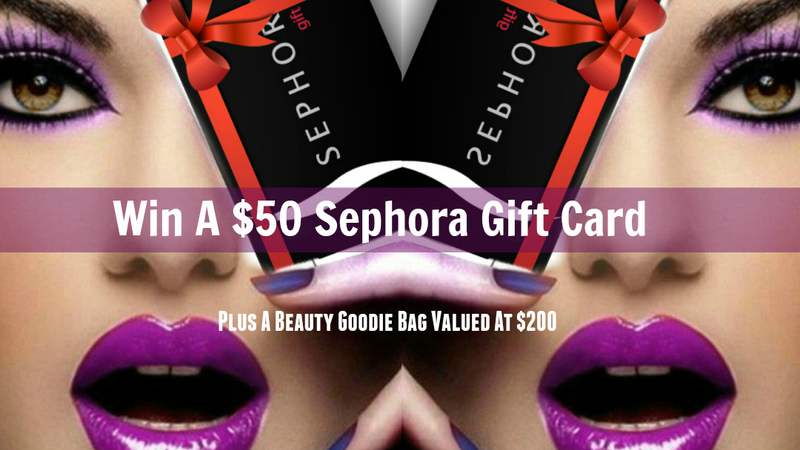 Attention all of you beauty addicts, I have the fix you have been looking for, a chance to win a $50 gift card to Sephora as well as a Beauty goodie bag valued at over $200 filled with makeup, skincare and more! And if that wasn't exciting enough you will also have the chance to become a BEAUTY club member! Beauty club members will be the first to know about Beautylicious D.I.Y. (Do It Yourself Beauty), Beauty Hacks, The Newest Trends, Product Releases, Discounts and MORE! Plus, insights and tips on makeup, hair, skincare and more! It's kinda like my beauty guide to all things BEAUTYful, by me, for you! Want to turn back time and have younger looking skin? Then you need to continue reading. 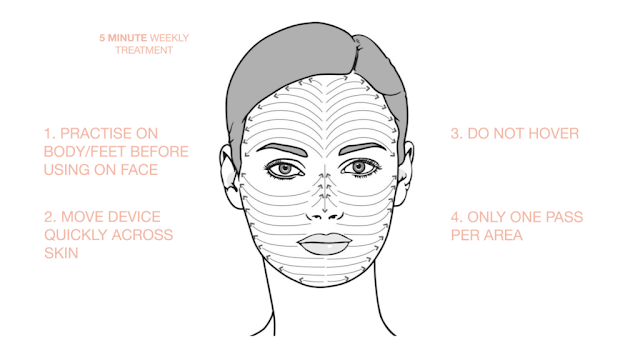 If you follow my blog regularly, you will see numerous posts on exfoliating. When it comes to anti-aging, exfoliation is one of the most effective ways to promote youthful skin. You see as we age our cellular turnover slows down, meaning that our body is slower to shed dead skin cells and produce new ones. This buildup of dead skin cells can have a negative impact on our skin leaving it looking dry and dull, or worse this accumulation can result in excess oil production and clogged pores, which could lead to problematic skin. Additionally, this build of dead, dull skin can highlight any imperfections on your complexion, and sometimes can create false wrinkles and no one wants that. Furthermore, if you are not removing your dead skin cells, it will create a barrier for your skincare products. So those expensive serums and creams that you’re spending all that money on can’t get to the fresh new skin which is hidden below this barrier of dead skin cells. While they are numerous ways to exfoliate, today I am going to be sharing with you, Micoroglo Microdermabrasion, The Secret To Younger Looking Skin! Microdermabrasion is one of today’s most popular nonsurgical anti-aging treatments and is available in dermatologist offices, spas and with at home devices. This non-surgical procedure mechanically exfoliates the outermost layer of dead skin cells, while simultaneously sucking up those dead skin cells, oil and other particles that may be trapped in your pores. This process has many benefits, with the number one key of helping to speed up the process of shedding old skin and making room for new skin to emerge. Some of you may have wanted to have this procedure done, but are not sure whether to have the actual treatment performed in a medical office or to try one of those devices that are sold for in-home use which that can offer many similar benefits, with significant savings. If you are considering the latter, this blog post is for you! Why? Well, let's start with the costs. The cost for each treatment for microdermabrasion at Aesthetic Clinics roughly cost $100-$300 (per treatment) with a total number of about 6-8 treatments, lasting anywhere from 20-40 minutes! This can add up and become very costly, as it is not just a one and done procedure! The treatments even need to be repeated later down the line, which is why some opt for an at-home system, like one from Microglo. 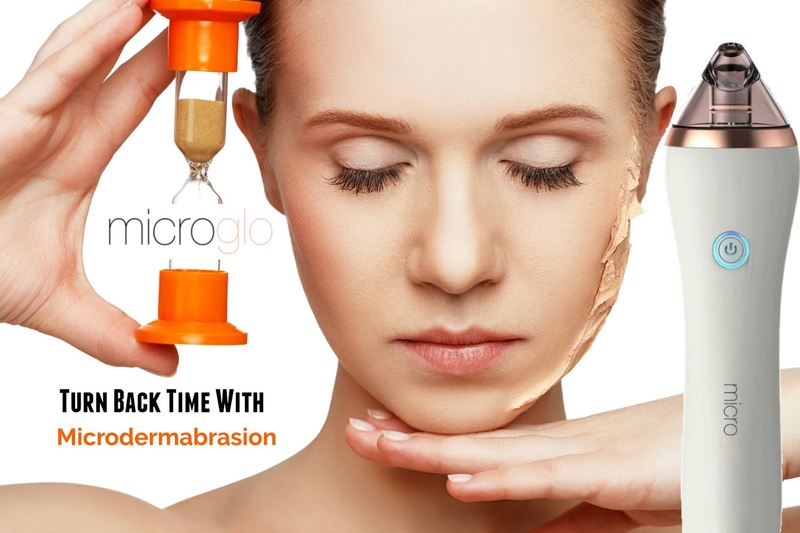 For this post I have partnered up with Microglo, using their Microdermabrasion kit. Microglo is a convenient and cost-effective at home treatment device that removes dead skin cells from the surface of the outer layer of your skin. By doing this, it allows for the growth of new cells to be stimulated, hence rejuvenating your skin. Similar to those at an aesthetics office, this procedure can leave your skin looking softer, brighter and much more. How Does The Microglo Microdermabrasion System Work? The system comes with 5 customizable heads, for sensitive to rough skin. 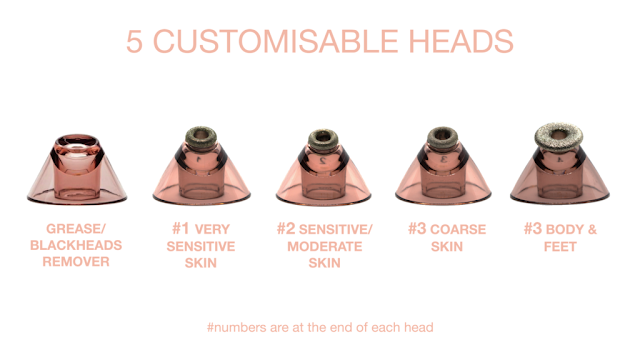 There is even a head just for your blackheads and another for your feet and body. Keep in mind, that this is not an overnight success sort of treatment. It takes about 12 treatments (no more than 1 treatment a week to reach optimal results), after that, it is recommended to use the microglo once a month. 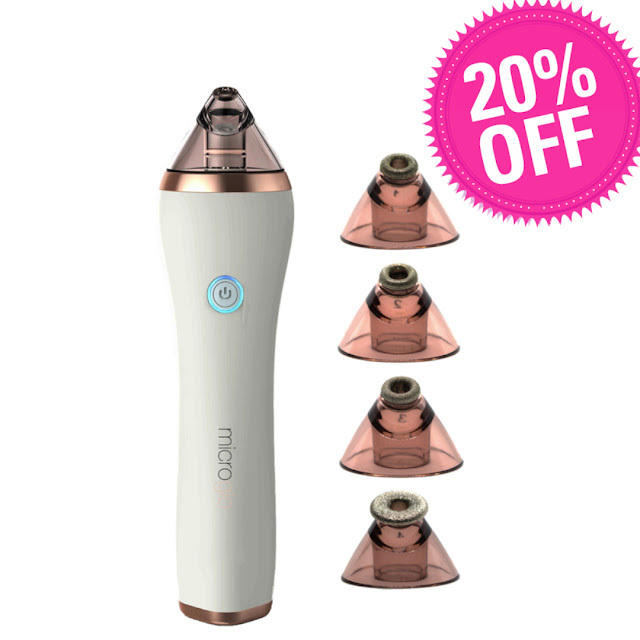 This microdermabrasion machine not only buffs away your dead skin cells in just 5 minutes, but it also polishes and refines the skin's texture using a diamond-encrusted tip or fine crystals. Furthermore, this device has an added calibrated suction, and when the tip touches the skin, a vacuum is created. This suction triggers the body’s essential healing process, which boosts the production of collagen and elastin, leaving your skin firm and radiant. Collagen and elastin are crucial to anti-aging and younger looking skin. That’s because they both work together to strengthen the skin’s structure and improve its ability to stretch and bounce back like it did in your younger years. So any boost of that I am all about! If all of the benefits above are not enough, Microglo was kind enough to offer all of my readers a 20% discount. Just click here and use my discount code: BARBIESBEAUTYBITS at checkout. As you can see Microdermabrasion can be a wonderful thing when it comes to anti-aging. However, you want to be careful when using a device like this. While at home kits are a more gentle approach, they don’t offer the same dramatic results in a short period compared to those done in a professional environment. 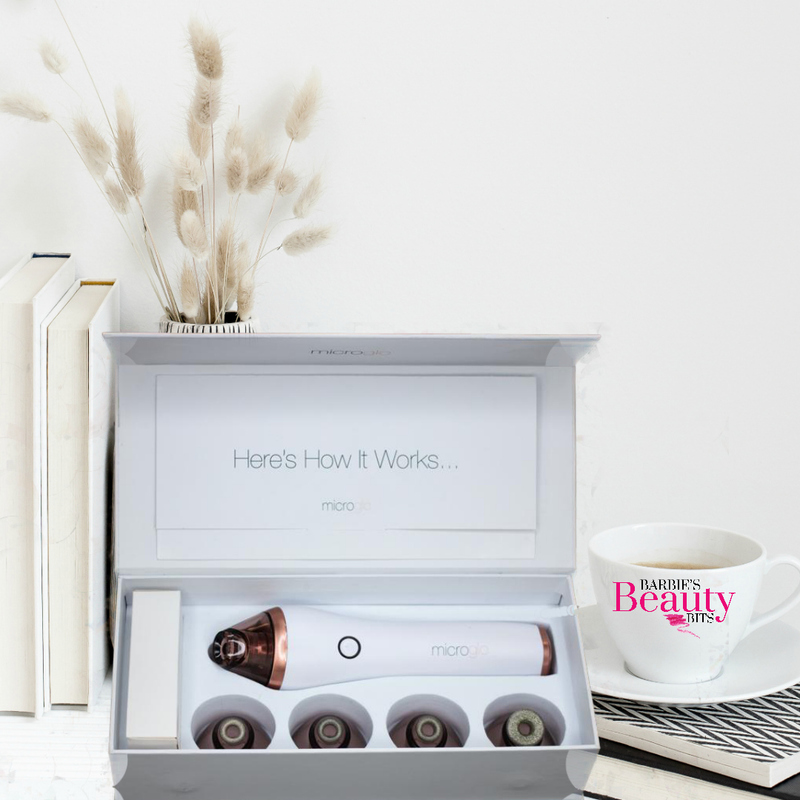 But, consistency beats quality with an at-home device, as it allows you to be more regular with the treatments, which can produce the best results over time and this is why I recommend them. While gorgeous skin is what most seek, this device is not a toy, as you can damage your skin and possibly cause scabbing if you do not do it correctly, which is why I made sure to watch the how-to video before using. And you should do the same. Lastly, this is not something I would recommend if you have skin conditions such as rosacea, eczema, widespread acne, and fragile or broken capillaries. In cases like this seek medical advice first!